They literally had an appointment set up with us for a month and then sent a vague weird email canceling the day before saying they couldn’t service our house. An alarm system is already in place so why can’t they service it? Waste of time. Go elsewhere. My advice: Don’t deal with them. At least not in PA. They asked me for my house deed several times. Including having me email it either by scanning it or through a picture sent by email. They claimed ADT required this info before installation. I asked the tech to leave and promptly called ADT to verify, and in the end this claim was a complete lie. If you want ADT, insist on an ADT tech to do the install. Worst company I have ever dealt with in my 50 years on this planet. Customer service is exteremely rude, and even hung the phone up on me several times. They are not concerned about anything except getting your money. After you sign the contract, they are not one tiny bit interested in helping you with any issue! BUYER BEWARE!!! Wish I had never signed a contract with these dishonest people! Absolute worst company out there! All about the now, they treat technicians and customers all the same, Horrible….switch and bait with the $99.00, and charge you up the Ying Yang. They make there techs drive all over the state and it’s like pulling teeth getting compensated unless you get a lawyer. After 3day they threaten the ones that are weak with sueing for remaining balance!!! It is my new mission in life besides living out my dreams to expose safestreets for the decisive company they are to employees and customers!!!!! Beware!!! Find it hilarious that the review article lists transparency as one of thier good qualities. Tried to get their “free quote” from their website and have instead suffered through multiple phone calls the last of which was for a 35 min sales pitch about the greatness of thier equipment & service with still no idea of how much it costs. Anytime a company has to make that hard of a sales pitch it raises red flags for me and reading the customer reviews I can see why. I have a feeling I’ll be going with the SafeTouch dealer instead. No long, drawn out, pushy phone calls from them. RUN, RUN AWAY as far as you can. This company is hands down one of the worst most horrible and a nightmare of a company to deal with as I have ever encountered in the last 50 years of my life. Do yourself and your peace of mind a favor and get as far away from this company as possible. ZERO STARS across the board. #1 The system was already in my mother’s house when she moved in. She called to have it connected and the technicians came out on 2-3 separate occasions to get it up and going and the alarm has never worked properly “AT ALL”. So, because of non-performance, she cancelled the service. It has been 6 months now and Safe Street has been on a relentless persuit to collect on the entire contract. We have explained the situation to them and they do not care about anything but collecting the entire contract money. They have been rude, unprofessional to the extent that you’d think you were dealing with a telemarketing scam operation. I stepped in to try to resolve this matter amicably and peacefully to no avail. They talk over you, treat you like you’ve wronged them and even after we asked to be put on the “do not call list” which they said they would, have continued relentlessly with their harassment. We contacted ADT corporate who by the way were the polar opposite of their authorized dealer to see if they could help us since they are representing ADT and they said they would reach out to them to see what they could do but, the harassment still continues. Our next step is to let our attorney handle this because we have record of every phone call and countless messages they have left us and this will end up costing them 10x the amount that their trying to collect from an elderly woman with dementia. Again, I have never encountered any business with as horrible ethics, standards, practices and dealing with and such rudeness when you try to work something out with them that was obviously beyond your control and their fault to begin with. Installation was seamless. Installer was courteous & detailed with his explanations. House burnt I have no home. They want $1000 Dollars to cancel the contract. If we did have a New home. I have to pay Another $99 dollars and won’t even get the same amount of equipment. They Also Tell you that you Get $100 Prepayed Credit card for signing up.. SCAM SCAM SCAM LIES LIES LIES. SHOULDNT ADT TELL YOU THAT THEY HAVE A SECOND PARTY THAT YOU HAVE TO SIGN WITH AND SHOULDNT SAFE STREET ALSO MAKE YOU AWARE OF THERE B.S CONTRACT. DONT WASTE YOUR TIME OR MONEY. Awesome company and they went above and beyond what was promised by the phone rep. I would recommend them to anyone!!. Orlando is a great installer. He has worked so very hard to get my system up and going. He really cares about the customer which is very hard to find now days.He is very pleasant and real easy to talk with.He made sure I had no questions before he left.HE should have a BIG ATTA BOY!!! I feel much safer now.THANKS AGAIN ORLANDO. This is the WORST security company that is out. I did not even request them I requested ADT and this company showed up. I have been dealing with faulty equipment, service workers not showing up and not calling to state that they will be late or not coming. Customer service is the worst as well they have no idea what they are talikngi about. I have been dealing with them for therr months and I regret everyday that I have to deal with them. DO NOT SIGN with this company or you will regret it. I am too angry to really express the servive they have provided thus far!!!!!!!!!!! Safe Streets USA make me what turned out to be a false promise of a $100 VISA cash card as a “hook” to get you to buy. I never received the card. In following up with the company after being transferred to about four different persons, they each refused to do anything about it. They each gave the party line, namely “there is nothing we can do about that”. In other words “too bad, so sad”, you are only the customer. It became obvious to me that once they get your money, they care nothing about the customer nor do they care about their promise to give me the $100 VISA card. They will tell you anything to get the sale and then they are done with you. Yet, now that they have broke their part of the contract they claim I must uphold my part of the contract. They need to learn contract law. Iasked to obtain names and numbers of top management. They gave me none. Just basically hung up on me. Do not do business with ADT Safe Streets USA is my recommendation. 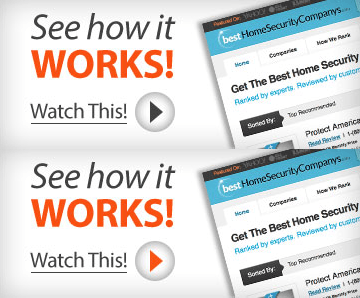 There are plenty of reputable companies to choose from for home security. I and my family were very satisfied with the sales team Brad and his assistant, that visited our home. They assessed our need and helped us select the best equipment for our needs. The service installation consultant, Josh, was very professional. He arrived on time. Josh handled the installation in a timely manner. Josh took the time to explained how to use the key pad and remote use of our system. The customer care, Customer Service, has followed up to ask how our process has been and to reassure us that if we have any problems or concerns to contact them immediately. I am confident from the service we’ve received thus far that they will be there when we need them. Incredibly creepy company with a horrible sales pitch. A man came to my door in the evening and immediately tried to push me into letting him in my house multiple times. He was very pushy and motioned as if to let himself in my home several times. I refused to let him in and he told me that he would “hate for (my) house to catch on fire” which was also very creepy and gave me a business card for this company. I felt disturbed and wary afterwards. I was talking to a man from safe streets and he ask if I was the home owner and I said no and he said he couldn’t talk to me so my daughter is the him owner and she talked to the sales representative but her credit wouldn’t go through so he ran my credit and it passed so my daughter set everything up on my social security number and the rep said it wouldn’t be in my name.We the installation guy came and hooked it all up and never mentioned one time there was a contract and after he was done he ask for us to sign his phone to verify he completed the job and it worked my daughter had just got home not long before he came and was very tired because she worked night shift so he told me I could sign for her and he told me that it wasn’t a contract so I thought that was all I was signing was saying he was finished.Well 2 months later I get a call from safe streets saying my bill was behind and I ask them what bill and they said I signed as house owner and I was responsible for the bill and I explained to them what was done and they still insisted that I have to pay it.I am on social security disability and I don’t have that kind of money each month so now it’s up for disconnecting and they want me to pay $1400 for the rest of the contract and I told them all I had left was $25 a month and I was told that wasn’t satisfactory and they couldn’t take that amount.They ask me if I was going to file a police report on it because I feel like I was conNed and very much misled into signing. My husband Charles and I were pleased with the knowledgeable and courteous service given tot us by David W., an Installation Consultant from Ashland, VA. He installed the ADT system expertly and then patiently taught us how to use it. We appreciate his helpfulness very much- and are pleased with our security system!